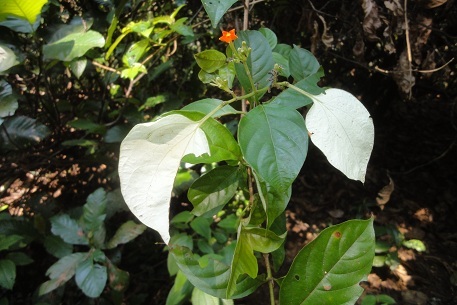 There appeared to be some confusion over the plant that should be named Mussaenda glabra. 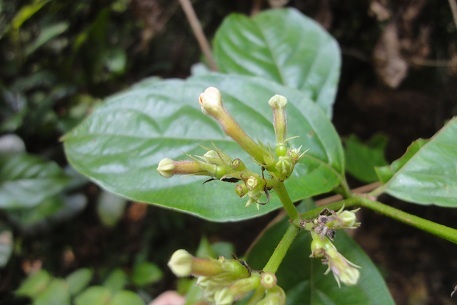 Some websites that associated the name with another plant that bore yellow flower and having Dwarf Yellow Mussaenda as the common name. 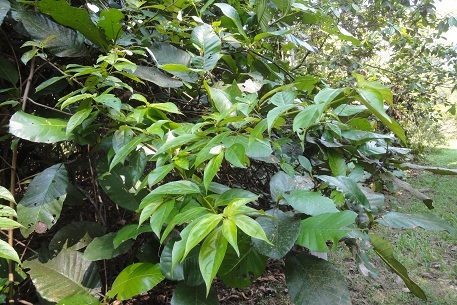 Others had treat Mussaenda glabra as a synonym of Pseudomussaenda flava. 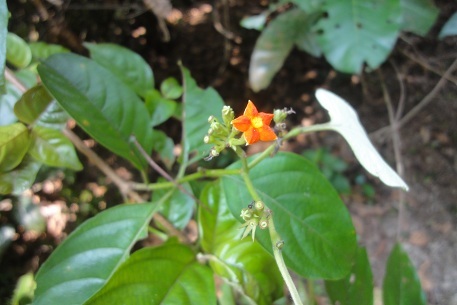 The NParks Flora & Fauna Web named this plant as Mussaenda glabra while the Flower of India website, named it as Mussaenda glabrata with the description of the flower colour as "golden yellow". Golden yellow is not yellow but more toward orange colour. 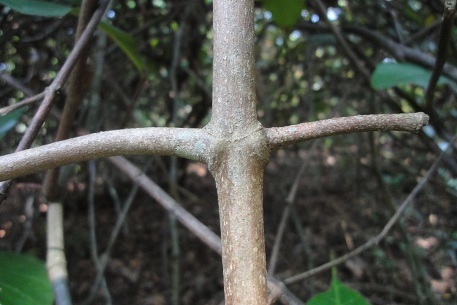 Finally, I came across a publication from Thailand  that indicated Mussaenda frondosa auct. 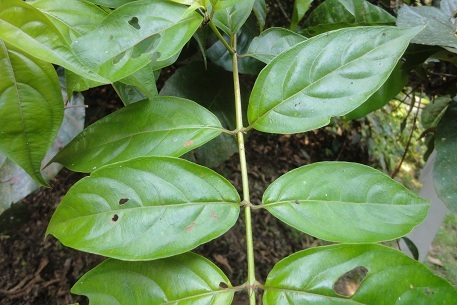 non L. as the synonym of Mussaenda glabra. The term "auct. 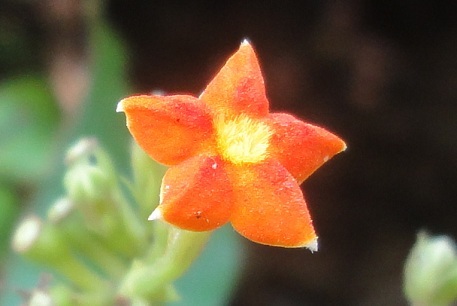 non" means that the name Mussaenda frondosa has been misapplied by subsequent authors. However, the colour of the flower was not mentioned. 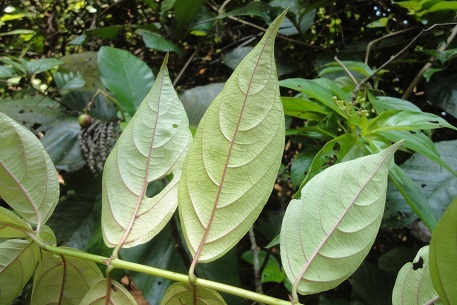 There was a time that I named this plant as Mussaenda frondosa. 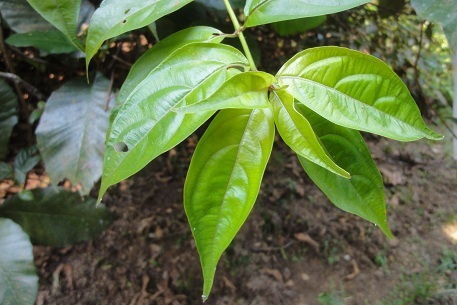 After receiving feedback in June 2016 from an expert, I had changed the name to Mussaenda glabra.